Then John Bristow walks through his door with an amazing story: His sister, the legendary supermodel Lula Landry, known to her friends as the Cuckoo, famously fell to her death a few months earlier. The police ruled it a suicide, but John refuses to believe that. Regardless, Cormoran Strike takes all the clues, which lead him to more clues, and winds the twine around the spool until he figures out what happened. And sees that that person is brought to justice. This was a well-written book. The characters were richly developed. The dialogue was seamless. The story drew me in immediately. At first I thought: I’m not too interested in stories about super models. But the writer captivated me into enjoying reading about a super model without my realizing it. Robert Galbraith is a pseudonym for J.K. Rowling, bestselling author of the Harry Potter series and The Casual Vacancy. 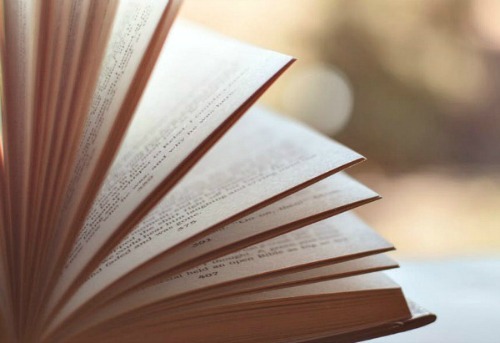 Why a pseudonym? 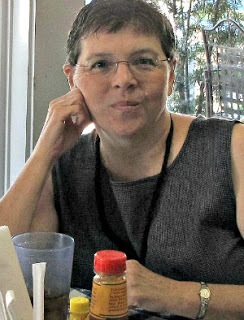 J.K. Rowling wanted to begin a new writing career in a new genre and to release her crime novels to a neutral audience, free of expectation or hype. 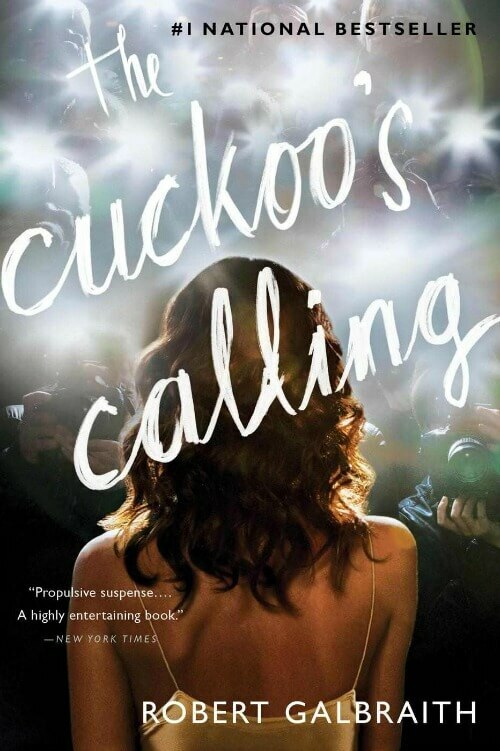 The first Robert Galbraith novel, The Cuckoo’s Calling, was published in 2013 to critical acclaim from reviewers and fellow crime writers alike. 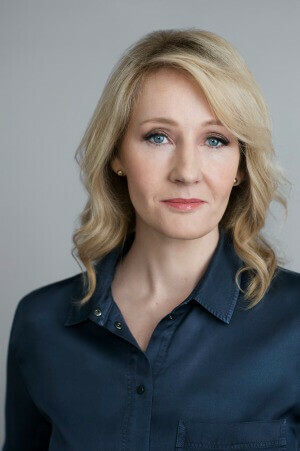 Although the author’s true identity was unexpectedly revealed, J.K. Rowling continues to write the Cormoran Strike series under the name of Robert Galbraith to maintain the distinction from her other writing. I'm new to your blog, so don't know your physical limitations, but have you tried a cordless drill to tighten the curtain rod? I bought one a few years ago when I realized I needed to learn to do things on my own so I wasn't paying a fortune to someone else, and it has been a wonderful and necessary tool that I love! Just a thought — and if this has been suggested multiple times, sorry. As I say, I'm coming into this discussion very late. But I'm glad I found your blog. And I love the faces on your doggies! That books sounds like a great read! I put in a request for it online at my library. It's like getting an unexpected gift when the library sends me a notice that a requested book has arrived as I forget what I've asked for. Libraries are an awesome resource! I use sheets in my sunroom Windows because they provide privacy but still let the light in. I have eleven Windows back there and did not want to deal with installing hardware. I use the spring rods. You just twist to fit and they ha e rubber ends so the wood frame is not damaged. I know they make them for double Windows. They just slip into the rod pockets and are very inexpensive. They cost much less than regular drapery hardware. They are fully hidden on the Windows and you can get them at Big Lots of Wal Mart. Brenda, youve been telling us it was cold down there and you were lying, were you? Snow is snow. It tell us the northerners up here in Canada that its at least cold enough for snow. A nice treat for this time of year. You can cocoon at home doing what gives you pleasure, be it reading or sitting contemplating your window hardware. Thank you for the review on the book. It sounds like I would enjoy the book, too. I'm a big mystery lover! Funny thing, when you started your review and mentioned 'model' and the world of beauties and the rich, I immediately thought, "Oh, I wouldn't enjoy this book at all." Good thing I read yo the end of your review. I guess one can't judge a book by its cover. New learning for me? I've seen the name Robert Galbraith on a number of books (haven't read them) but didn't realize it was Rowling's pseudonym. Now I'm better informed. Keep warm, Brenda. My arthritic shoulders and wrists are causing me grief today because I helped the hubs shovel our long driveway. He brought the snowblower out but it had a tire with a split in the sidewall so it wouldn't hold air. He wasn't able to find a replacement so he has to order one on line. Let me tell you my body was complaining afterward and again this morning. Sadly,I have always loved shovelling snow, since way back when I was a kid. Unfortunately, at 60 years old, my joints complain 'some' now but I keep at it because inactivity is the death knell for us. Btw, tomorrow morning I see my foot surgeon again. He wanted to bring in a colleague who also specializes in feet/ankles to see if they can come up with a new plan for my right foot. The surgery I had a year ago made only a 'twinkling' of difference and I've had to resort to going back to my boot like you. I can't drive while wearing it and I'm on work restrictions at school, too. Being called The Gimp has become old, just as the never-ending pain. Hoping for some good ideas from the two doctor's tomorrow! Several years ago when I lived in an apartment that faced the parking lot, I used sheers. I just made sure I measured and bought sheers that were between double and triple the size of the window – I preferred that. I used a tension rod, you may be able to do the same with yours. Or, if you wait on Israel, they make a double rod and you could put the sheers on one and your curtains on another, only using one rod. Good Luck! I just bet the table will be pretty , even if the paint is not as dark..
Love your yellow and red stuff.. so pretty. Dropped in to wish you a Merry Christmas..
We got a few snowflakes..but not a solid covering. We had tornado warnings yesterday followed by a dive in temps and strong wind. Crazy weather! Stay warm. The book sounds excellent Brenda! We have overnight snow here too in Missouri, and so very cold! It makes every arthritic joint in my body hurt too, so I empathize with you. I really like that table. I bet a second coat of yellow on it will be just right. I love yellow almost as much as I love red! That book sounds like a really good read, I will have to check it out. The sun shining in on the sofa with the afghan and the pup looks very cozy. I like the sofa angled that way. The blue hutch looks nice by the patio door with all of the bits of red in it. The touches of green on the patio look refreshing too. So many nice little touches for your eyes to rest upon throughout the day. I'm tickled that you are into a painting project at a time when everyone else is out stressing about shopping. It looks more fun than being out in the crowds! I have a Black & Decker cordless drill I use for projects – it's tiny but powerful and really does the trick for me.